The new food court at the Oshawa Centre has 1,000 seats, free WiFi, a vaulted ceiling bathing diners in natural light, and a nursing room big enough to accommodate a phalanx of baby strollers. Open to the public since Sept, 29, the revamped food court is the centrepiece of a $230-million expansion and redevelopment project that has added 375,000 square feet of new and redeveloped retail space along with 60 new brands to a mall whose last renovation took place in the early 1990s. Totalling 1.2-million square feet of commercial property and taking four years to complete, the newly expanded Oshawa Centre is today the largest enclosed shopping centre in Durham region, located about a 40-minute drive east of Toronto on the edge of Lake Ontario. “How do you take an existing mall and build on to it, how do you make it seamless and make it look old and new at the same time? That was our challenge,” says David Baffa, senior vice-president of Ivanhoé Cambridge, the global real-estate company which owns and manages the two-storey Oshawa Centre in addition to other shopping centres across Canada. Build a better food court. 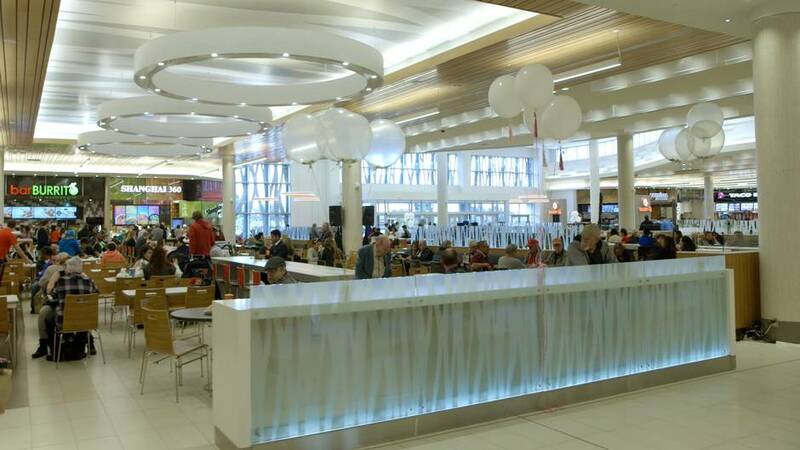 Repositioned from its former 630-seat location in a corner of the mall and redesigned like a racetrack, the new centrally-located food court aims to draw people in, and keep them engaged. Two new restaurants – Kelsey’s and the soon-be-opened Baxter’s Landing – plus an expanded range of quick food options, from South St. Burger to Kung Pao Wok, are helping to turn the food court into a gathering place, a social hub augmenting the retail shopping experience. Light-coloured porcelain floor tile, contemporary light fixtures, Caesarstone communal tables undermounted with metal coat hooks are other elements helping “to provide comfort and convenience for shoppers,” Mr. Keillor says. Even the smallest of mouths are well served by the renovation. The new 200-square-foot lactation lounge, made for nursing mothers, is equipped with modernist glider chairs, bottle warmers and emergency diaper kits on demand. 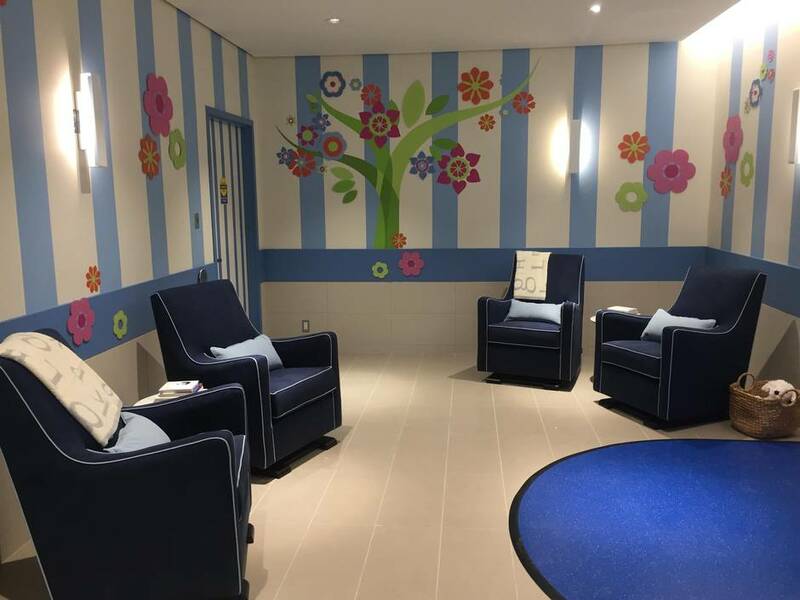 The female members of the Ivanhoé Cambridge team added these extra mom-friendly touches after the company approached them to design the public restrooms of their dreams. “I walked in on the first design meeting for the women’s washroom and saw only men sitting around the board table and I asked myself, ‘What’s wrong with this picture?’” shares Mr. Baffa on a recent tour of the redesigned space. Ivanhoé and Oshawa Centre are not alone in redeveloping the food court as means of increasing profitability at the mall. 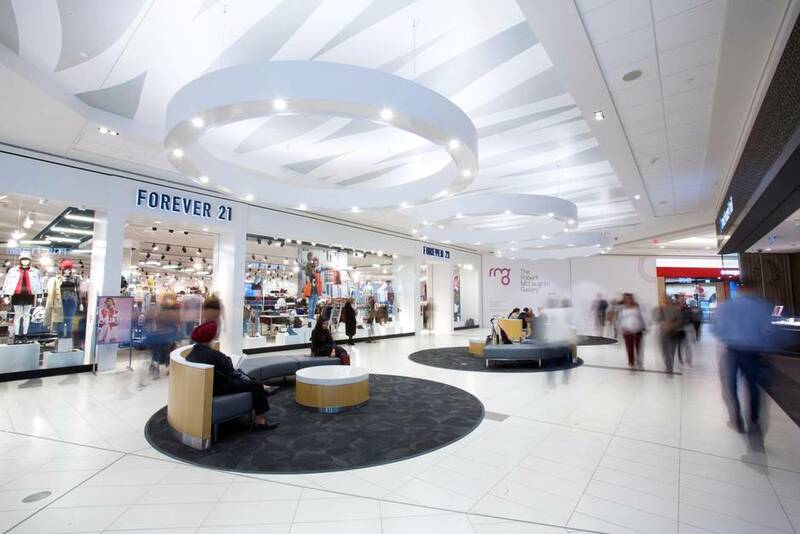 In the Toronto area, top-tier malls Yorkdale, Sherway Gardens, Square One, Hazleton Lanes (rebranded as Yorkville Village), and Scarborough Town Centre have all recently undergone multimillion-dollar expansions and renovations that have added increased food options to their properties. According to Toronto retail consultant Philip Traikos, it’s all about giving shoppers a reason to turn away from their screens at home and reconnect with shopping as a social experience. “I think what you are seeing in all the major malls being renovated, Sherway Gardens, Yorkdale and Don Mills included, is that they’ve all updated their dining experience along with their food courts. It keeps the customer happy,” says Mr. Traikos, senior vice-president, capital markets, retail services, at retail consulting firm Cushman & Wakefield Ltd. The suburban mall has gone sophisticated, representing the changing face of Oshawa. A city with a population of approximately 161,000, for generations it has served as the site of a giant General Motors complex including two car-assembly plants and a pickup-truck factory, making it an important hub of the Canadian automotive industry. But with car production in decline – Oshawa last year churned out 222,000 vehicles compared to a peak of 940,000 vehicles in 2003 – the formerly blue-collar town has had to diversify into other economies to survive. Just more than a decade ago GM Canada’s Oshawa facility employed 11,000 people. Today that number has dwindled to about 2,000. Picking up the slack is health care and a technology-oriented university that is among the fastest-growing postsecondary schools in Ontario. The newly exapnded Oshawa Centre is also doing its bit to drive the local economy. 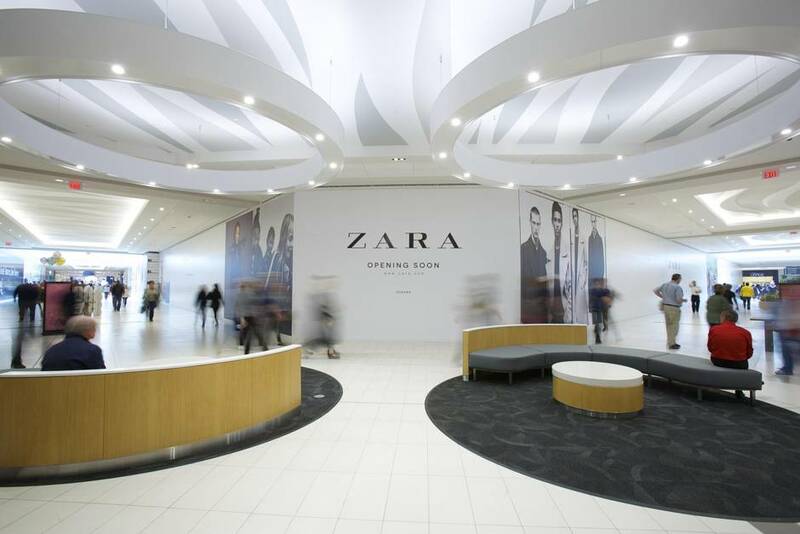 The addition of 60 new retail brands has created 1,000 new full- and part-time jobs. 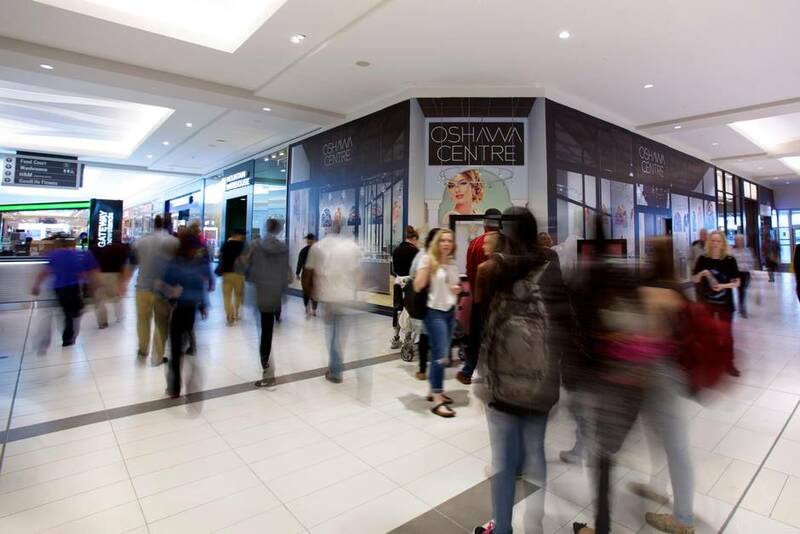 First built in 1956 and originally an outdoor strip mall, Oshawa Centre has had many transformations over the years, each a response to shifting consumer wants and needs. The latest renovation includes a 260,000-square-foot white roof to reduce air pollution and greenhouse gas emissions, among other innovations aimed at making the mall energy efficient. “Oshawa Centre has extended its organic program from the food court to throughout the common area as well as in some tenant spaces to encourage both our customers and tenants to dispose of organic waste in an eco-friendly manner,” indicates Mr. Keillor. Oshawa Mayor John Henry first visited the shopping centre in the 1960s when it was originally open to the elements, so knows just how far it – and the town cradling it – has come. Karthik Sankaranarayanan, an assistant professor in the faculty of business and IT at Oshawa’s University of Ontario Institute of Technology (UOIT), observes that these new industries are drawing new people to the area and making a mall like Oshawa Centre a heightened attraction. “It is a new twist to an old tale where the younger population – thanks to the presence of UOIT along with Durham College and the recent eastward extension of Highway 407 – has spurred new regional diversity,” Dr. Sankaranarayanan says. For this changing community, the home-town mall satisfies a variety of appetites.